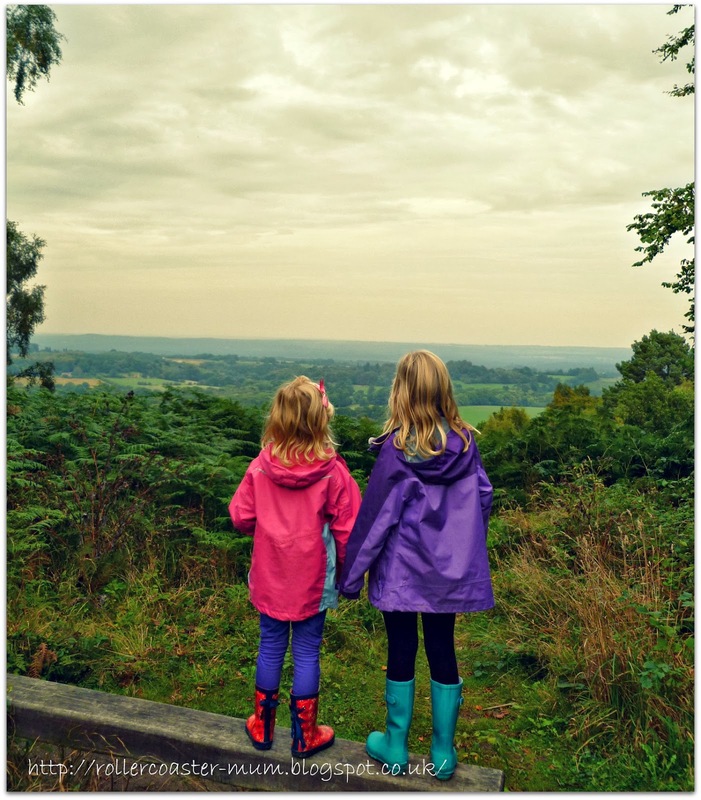 On inset day we didn't have much time to go out because of the 'bloody boiler' but we did manage to get out for a couple of hours and try one of the National Trust's #GBwalks. This is the view from the Temple of the Four Winds across the South Downs - not a bad view even on a misty, murky day. I have transferred my obsession for flowers to fungi - fascinating stuff but I have no idea what any of them are! A touch of sparkle for Bigger Miss who went and got herself another head teacher's award and enjoyed looking at her new Brownie Badge book for inspiration. Glad you managed to get out a little bit despite the 'bloody boiler'. 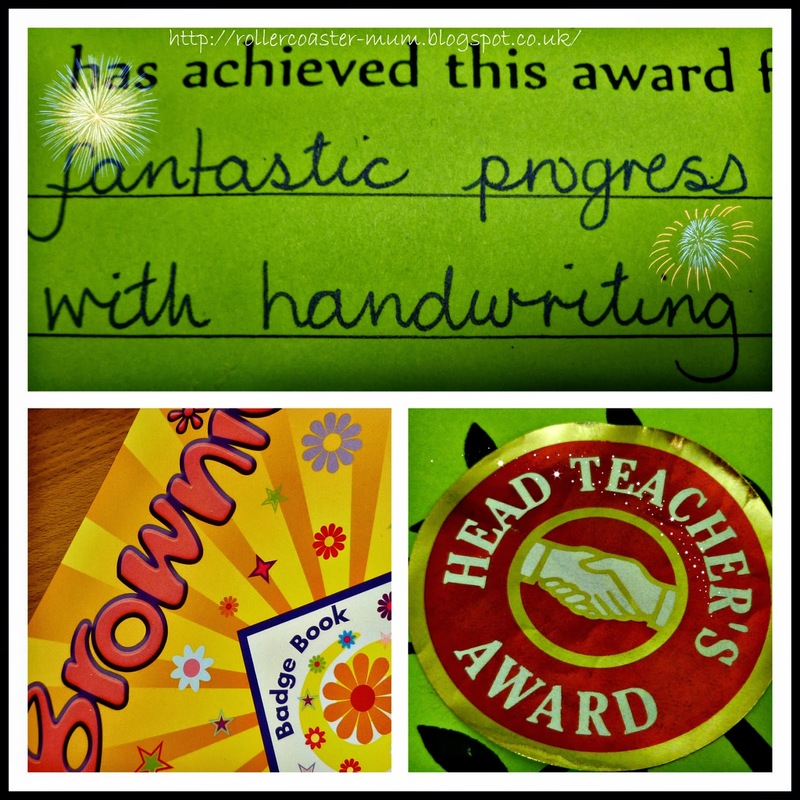 Gorgeous pics and fab news on the handwriting award. I'm sorry you've had problems with the boiler, ours is playing up too, it's a nightmare! The photo of the kids is great. It really stands out, even in the little '365' thumbnail, where I saw it. 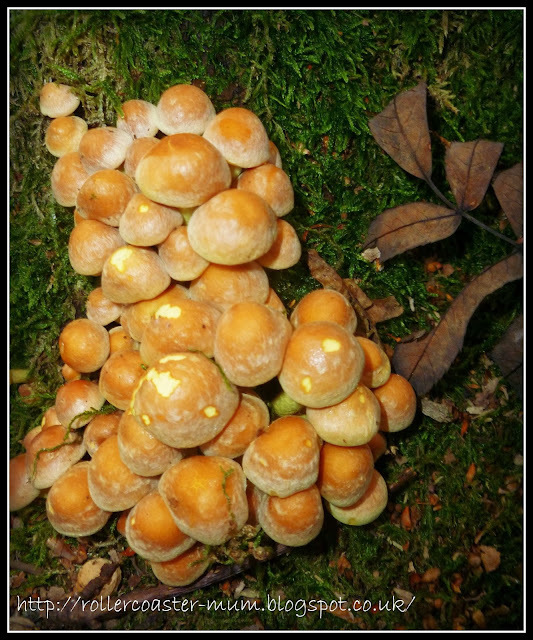 Love the Autumn colours in the fungi photo - we saw so many different types today in the New Forest, I agree it's fascinating stuff!